Iron precipitation is a key process in zinc hydrometallurgy. The process consists of a series of continuous reactors arranged in descending order, overflowing zinc leach solution from one reactor to the next. In this paper, according to the law of mass conservation and the reaction kinetics, a continuously stirred tank reactor model of a single reactor is first established. Then, a distributed model of cascade reactors is built with coupled control based on the single reactor model, considering the unreacted oxygen in leaching solution. Secondly, four reactors in the iron precipitation process are considered as four subsystems, the optimization control problem of the process is solved by a distributed model predictive control strategy. Moreover, the control information feedback between successive subsystems is used to solve the optimization problem of each subsystem, because of the existing control coupling in their optimization objective function of pre and post subsystems. Next, considering the intractability of the optimization problem for subsystems with various constraints, a distributed dual iterative algorithm is proposed to simplify the calculation. With the consideration of its cascade structure and control couplings, the proposed algorithm iteratively solves the primal problem and the dual problem of each subsystem. 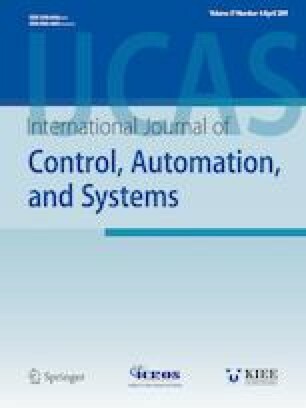 The application case shows that distributed model predictive control based on dual iteration algorithm can handle coupled control effectively and reduce the oxygen consumption. Recommended by Associate Editor Do Wan Kim under the direction of Editor Yoshito Ohta. This work was supported in part by the Program of National Natural Science Foundation of China(61673399, 61873285), and in part by the Program of National Natural Science Foundation of Hunan Province (2017JJ2329). Ning Chen received her B. S. and M. S. degrees in Industrial Electrical Automation from Central South University of Technology, in 1992 and 1995, respectively, and her Ph. D. degree in Control Theory and Engineering from Central South University in 2002. Her research interests include modeling and optimal control of complex systems, decentralized control of large-scale systems, and quantized control system. Jiayang Dai received his B. S. and M. S. degrees in Control Science and Engineering from Central South University, in 2009 and 2012, respectively. From 2015 he was a Doctor student at Central South University. His interests are in modeling and optimal control of complex industrial process. Xiaojun Zhou received his B. S. degree from Central South University in 2009 and his Ph. D degree from Federation University Australia in 2014. His research interests includes optimal control, dual theory and global optimization. Qingqing Yang received her B. S. and M. E. degrees from Nanjing Normal University in 2014, and Central South University in 2017, respectively. Her research interests include modeling and optimal control. Weihua Gui received his B. S. and M. E degrees from Central South University, in 1975 and 1984, respectively. His research interests include modeling and optimal control, of complex industrial process, decentralized robust control and fault diagnosis.